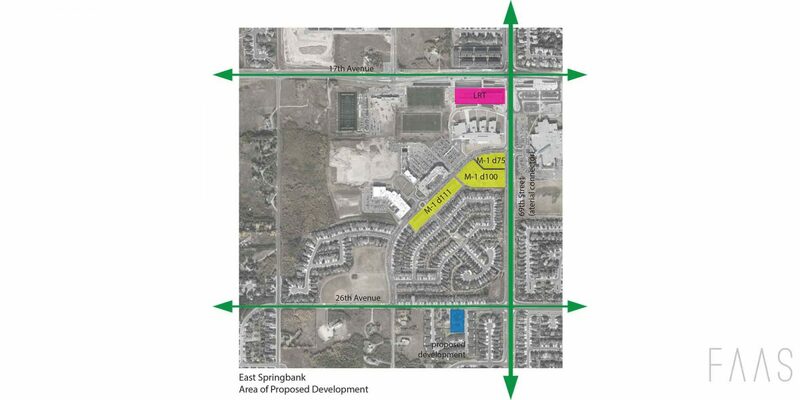 The parcel located on 26 Ave SW in Springbank Hill is a remnant parcel, as of yet unchanged from its rural origins. 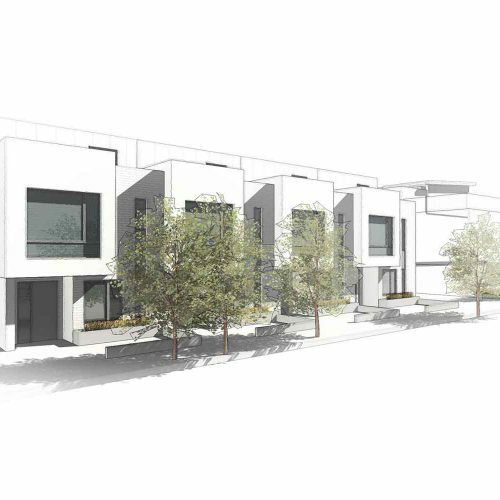 The proposal for the parcel involves a medium density multifamily development that would maximize the available density for the site, while also respecting the lower density periphery of the community. 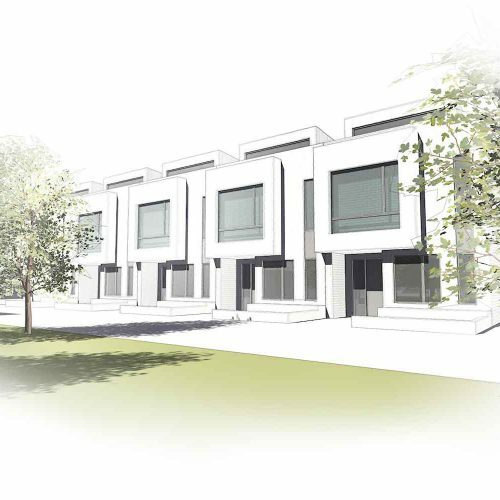 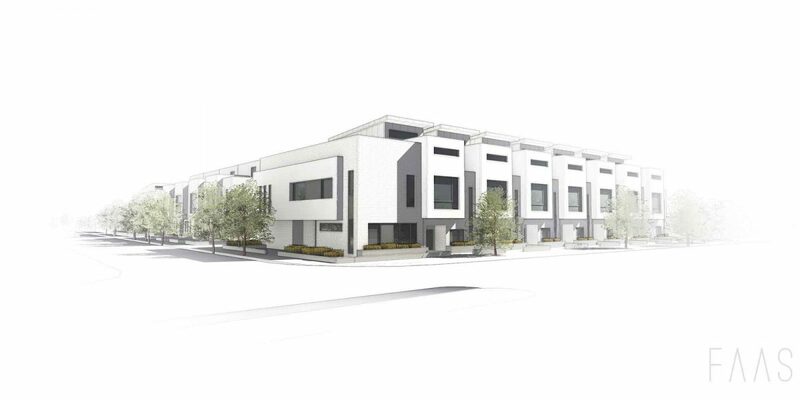 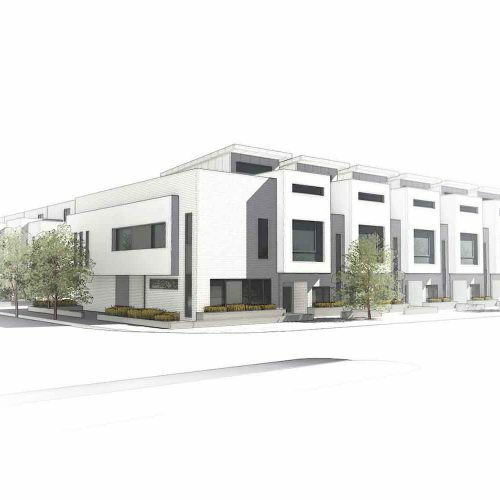 The design strategy illustrates a simple concept of 2 to 3 storey townhomes positioned along the edge of the site. 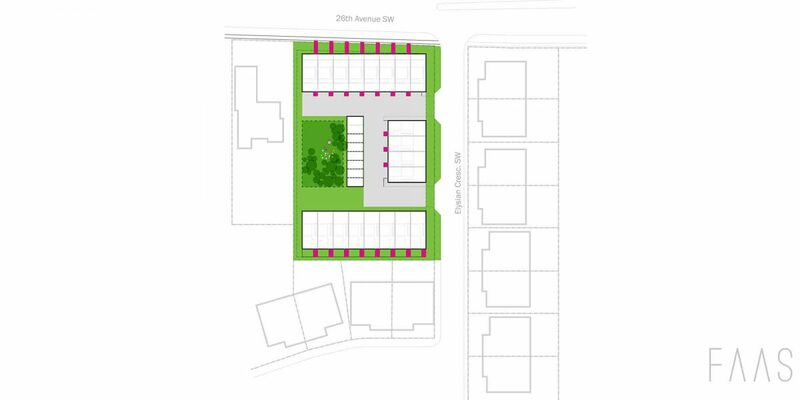 The layout allows for a more open and communal centre for residents to gather and foster a sense of community.